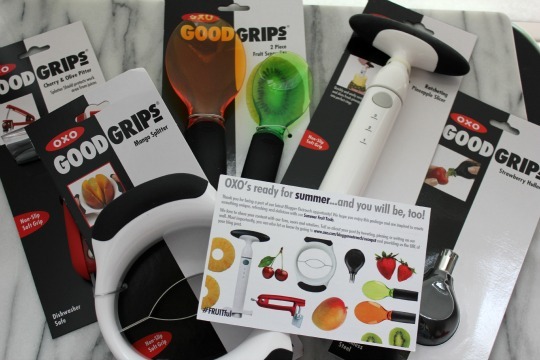 Check out all of these cool fruit tools I received from OXO! We eat a lot of fresh fruit around here, so I was super excited when this package arrived! I decided to try out the OXO Strawberry Huller for the strawberry bars I made for my girl's night. I'll have to admit, I was a little apprehensive about how well this little tool would actually work, but it was amazing! 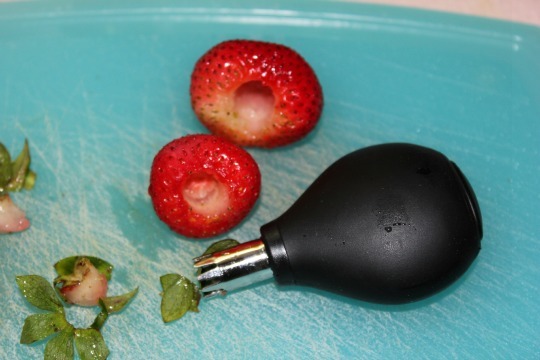 See how well it removes the stem and leaves all at once! I will definitely use this little gadget ALOT this summer! 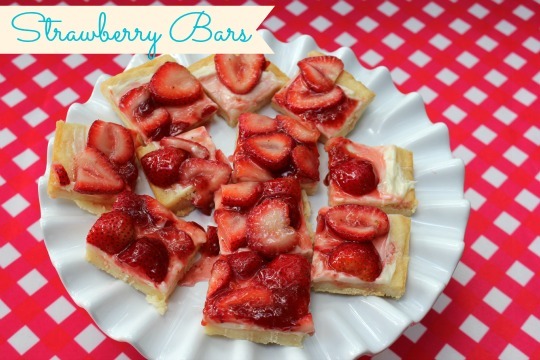 Strawberry bars just scream summer. 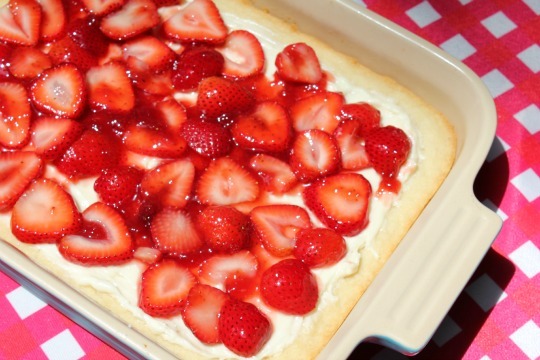 Cookie crust, sweetened cream cheese and strawberries - yum! Preheat oven to 350 degrees. Spray 9 x 13 bake dish with cooking spray. Make sugar cookie dough according to package directions with 1/2 cup softened butter and 1 egg. Press cookie dough into prepared pan evenly. Bake for approximately 15 minutes or until edges are golden brown. Cool completely. In a medium bowl, combine cream cheese, vanilla extract, sugar and lemon juice. Spread on cooled crust. Place sliced strawberries over cream cheese. Microwave strawberry jam for 20-30 seconds. Brush melted jam onto strawberry slices. Refrigerate until set, at least one hour. Just went strawberry picking today so I think I'll give these a try! Perfect timing! Wow! These look & sound fantastic. I didn't go picking this year :( Hopefully I can get my hands on some sweet berries soon so I can give these a try. Making strawberry jam tonight. I'll will most certainly leave enough to make this!